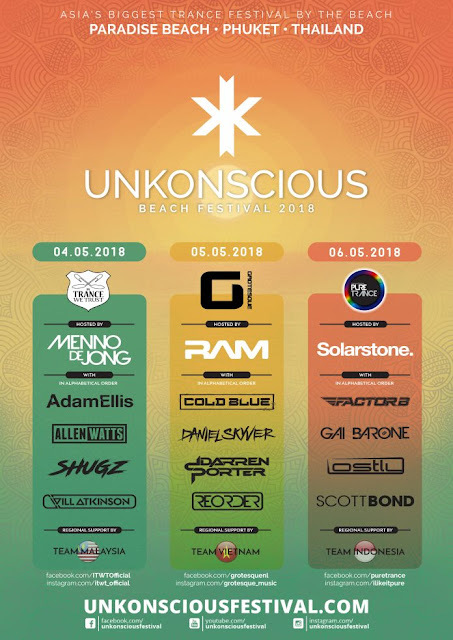 UnKonscious Beach Festival plans to make its debut as Thailand’s first ever trance event a memorable one, happening this 4 to 6 May at Paradise Beach, Phuket. • In Trance We Trust (Friday): Menno De Jong, Adam Ellis, Allen Watts, Shugz, Will Atkinson. • Pure Trance (Sunday): Solarstone, Factor B, Gai Barone, Lostly, Scott Band. Six DJs from our own region, Malaysia, Vietnam and Indonesia, will be coming in as supporting acts each night, so stay tuned for their reveal. Full lineup of the first edition of UnKonscious Beach Festival. Tickets are available online via Ticketmelon and are priced at THB 1,800 for a daily pass and THB 3,500 for a full weekender pass. 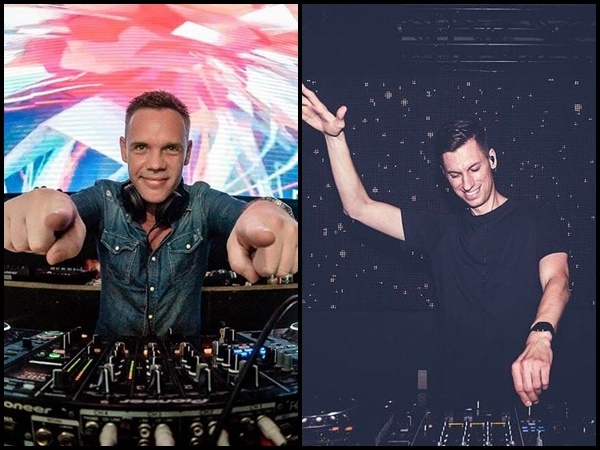 Not only is UnKonscious taking the title of being the first trance event in Thailand, it’s also the first event in Asia to have ever gathered the talents of the world’s top three trance labels. With the roster being this hyped up with big names such as Trance Podium award-winning Menno de Jong and Dutch trance producer and DJ, RAM, you’ll be quaking in your boots with what they’ll be unleashing for the crowds. So grab your tickets now while they’re under discount before they get sold out!